Season XXVII of the NBC10 Newport International Polo Series, Presented by BMW will feature Newport vs. Baltimore on September 8th, 2018 at 4pm. Modern Luxury Polo Lounge - $65/person on 6/9, 7/14, 7/28, 8/11 and 9/8 in 2018, for all-inclusive premium admission ticket, that includes complimentary gourmet hors d'oeuvres, specialty cocktails and beverage service from a specialty cocktail bar, reserved parking, private entrance and preferred seating among VIP sponsors & guests in the Modern Luxury Polo Lounge. To reserve individual seats or tables that seat 4 or 8, please select seat(s) from tables located under the Tent in the Pavilion. No outside beverages permitted. (Corporate Table Sponsorship that includes promotional benefits is also available - please inquire for details: agnes@nptpolo.com). Pavilion Season Subscriptions - $275-$2,880 (Subscriber, Patron, Insider, and VIP) offer superb value & benefits for individual seats or reserved tables for select matches or for the entire season. Follow the link for details. General Admission - $15/adult (kids free up to the age of 15) General Admission to Lawn, Grandstand and Reserved Tailgate Parking areas. Picnics of food & beverage are welcome. Bring lawn chairs & blankets for Lawn area. Lawn and Grandstand are available on a first-come-first-serve basis on game day, and cannot be reserved in advance without authorization from Polo Office. Gates open at 1pm/Noon in Sept. General Admission tickets are sold online or at the entry gates on game day. General Parking is free. Tailgate Parking Spaces (located on the perimeter of the playing field) are offered for reservation online only (see details below). Lawn Seat Season Subscription - $175 (Member) offers superb value & benefits for individual lawn seating for the entire season. Follow the link for details. Reserved Tailgate Parking - $50 per space. Reserved numbered space on the South perimeter. Can accommodate up to 15 people and/or 2 cars end to end. These spaces may be reserved online only, selecting an available numbered space from the venue diagram above. These spaces are located on the perimeter of the playing field from which you can view the match & enjoy a tailgate picnic with up to 15 people/space. Limit of 1 space per household, unless Group ticket minimums are included in multiple space reservation. Reservation does not include admission. General admission is required for each occupant (over the age of 15) in a tailgate parking space. Admission tickets can be added to your Tailgate Parking reservation or in a subsequent online purchase or at the entry gates on game day. Reserved Tailgate Chalet - $100 per space. Reserved numbered space on the North perimeter, includes installed chalet tent, can accommodate up to 15 people and 1 car. These spaces may be reserved online only, selecting an available numbered space from the venue diagram above. These spaces are located on the perimeter of the playing field from which you can view the match & enjoy a tailgate picnic with up to 15 people/space. Limit of 1 space per household, unless Group ticket minimums are included in multiple space reservation. Reservation does not include admission. General admission is required for each occupant (over the age of 15) in a tailgate parking space. Admission tickets can be added to your Tailgate Parking reservation or in a subsequent online purchase or at the entry gates on game day. Corporate Tailgate Parking - $2,500 (Season Membership option). Reserved Tailgate Parking Space for the season, central position on North perimeter, includes installed chalet tent and nameplate. During the match, a weekly door prize drawing of a magnum of Veuve Clicquot Champagne and prize for the Best Tailgate from Stella Artois will be awarded. Specialty vendors and concessionaires will be present in the Hospitality village at the polo grounds, including the Twisted Pony Cocktail Bar, Horseshoe Wine Bar, Newport Polo Pro Shop, and other specialty vendors and gourmet food trucks. For details about concessions & amenities, venue and other information, use the About Newport Polo link in the Menu bar. Dating back more than 130 years in Newport, the polo matches are one of Newport’s grandest & most popular traditions, a living legacy from the Gilded Age, and open to the public. Audiences of several thousand spectators enjoy the contests against international teams, as well as teams representing major US cities, playing against the home team every Sat, June thru Sept. at 5 PM / 4 PM in Sept.
Stay current with the 2018 team lineup, latest news, events and more through our e-Magazine, by subscription to our monthly Emagazine (sign up) and out Gameday Scorecard (sign up). Both subscriptions are private and spam free. Info about the Polo Series, our venue, concessions & amenities, and other information can be found on the About Newport Polo page. RAIN DATE: If a regularly scheduled match is canceled prior to its start (due to weather/field conditions), the match will be postponed to the following Sunday at the same time. 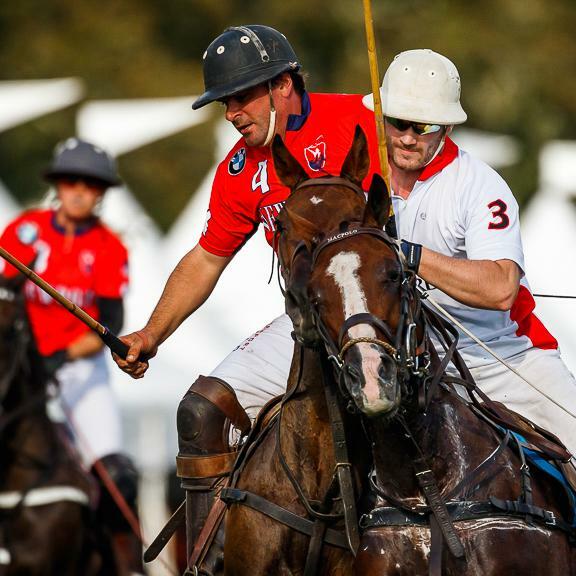 All original polo match tickets & seating reservations will be transferred to the rain date. For more details on our ticket policies, please follow this link. In inclement weather, always check the Match Status recording on our Info Hotline (401) 846-0200 x2 and for Alerts published on our website, both of which are updated with any status change for the impending match. Season subscriptions to the Newport International Polo Series are available for individual lawn or Pavilion seating, reserved tables, corporate tailgates & VIP lounge tables to take in all 18 weeks of polo action. This is the 27th season of Newport International Polo Series, which has hosted teams from over 30 nations including, Ireland, Germany, Spain, England, Argentina, France, Egypt, India, Australia, Costa Rica, Ghana, Canada, Chile, Jamaica, Nigeria, Portugal, New Zealand, Barbados, Scotland, South Africa, Hungary, Dominican Republic, Netherlands, Kenya, Brazil, China, Italy, Mexico, Sweden, Singapore, Monaco, Morocco, and Peru. Minutes from downtown Newport, the International Polo Grounds are located at historic Glen Farm, 250 Linden Lane (off of Rte. 138) in Portsmouth, RI. This bucolic setting is the last 100 acres of what was once a 700-acre manorial farm whose settlement dates back to the 1600's. Its classical stone barns from the Gilded Age and its park-like grounds were rehabilitated by polo series founder, Dan Keating, and thrive today as an equestrian & community recreational property, and home of the Polo Series. The Newport International Polo Series is proud to present its 2018 sponsors including NBC - 10, BMW, Gallo Thomas Insurance, Brahmin, Veuve Clicquot, Grace Hotels, The Chanler, Hotel Viking, Gurney's Newport Resort & Marina, Vanderbilt International Properties, Clarke Cooke House, Flint & Flame, Stella Artois, Rockstar Limo, Atria Senior Living, Modern Luxury/Boston Common, Newport Daily News, McGrath Clambakes, Goslings Rum, Where Boston, Equine Journal, Classical 95.9 WCRI and promotional partners including The Preservation Society of Newport, Newport Helicopter Tours, America's Cup Charters, International Tennis Hall of Fame, Island Surf and Sport, The Cocktail Guru, and Scooter World. “Our sponsors have been with us since the beginning. Without their support, the Series would not be as extensive as it is,” explains Dan Keating, Polo Series founder.